What do endurance athletes crave? Sleep! What do Americans lack the most? Sleep! So I think it might be a good idea to take a page out of the Spaniards book and incorporate a Siesta time into our lives. La siesta means a short nap of 15-30 minutes, but in Spain, it’s become much more than that. For the Spaniards, la siesta is a three-hour break, from 2-5 p.m., to go take a break from work, go home and relax, eat, or take a nap! Ultimately, Spain shuts down in the afternoon. Spain isn’t the only country to incorporate a siesta time. It has spread to other parts of the world including the Middle East, South America, the Philippines and North Africa. It may not be the same version but many countries including Qatar believe in starting work earlier in the morning (like 6) and ending at 1 pm. This way they have the afternoon to nap, workout, spend time with family and ultimately enjoy the day. Siesta time has evolved over the years from a quick nap to a long lunch break. Now, we don’t need a huge break in the middle of the day from work, but, I would still love to see a siesta time incorporated into the working lives of Americans and especially endurance athletes especially because Americans already work ridiculous hours and are often not getting enough sleep. Let’s take it back to kindergarten. We had naptime. It was wonderful and we needed it, but didn’t like it. As adults, we wish we had that scheduled naptime back because many of us find that at 2 or 3 p.m., or after lunch, we are tired, falling asleep and are needing that extra cup of coffee. Naptime would let us recharge, get in a run and be able to work the rest of the day. 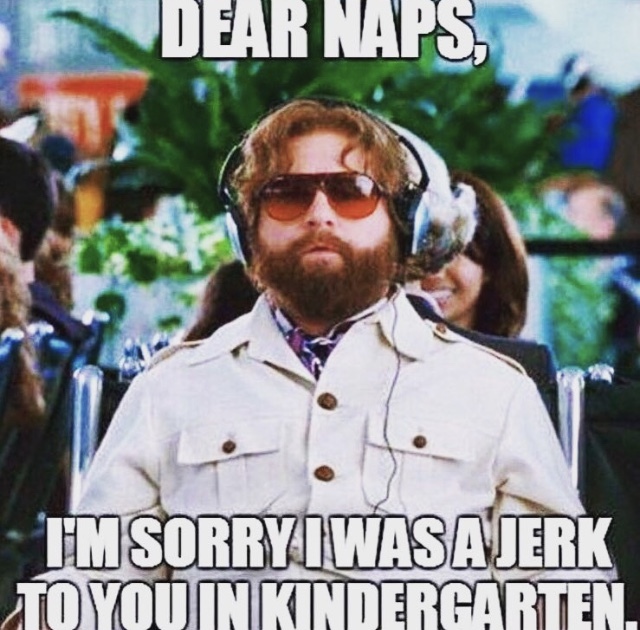 How awesome would it be for all companies to have a nap room or wellness room where you were encouraged to go and take a nap if you felt drained. Or how about an hour and a half break from work in the middle of the day to close your door, get in that rest, and maybe eat and run? Because let’s face it, how many times have you planned a workout for after work but find yourself so exhausted that all you want to do is go home and relax? I for one, love the idea of a room you can escape to, to get in that nap or be able to close you door and close your eyes. So what do you think? Should we all have a siesta time?